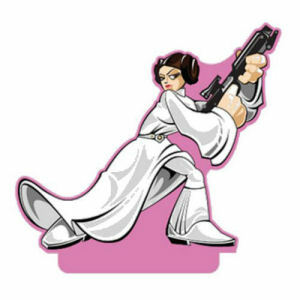 We have Just Sold out of Star Wars Princess Leia Shorty Paper Air Freshener. This Item is unavailable at present. From the Star Wars collection by Plasticolor. Star Wars Princess Leia Shorty Paper Air Freshener. May the force freshen your car. Measures approximately 2.5 inches tall. Ages 13 and up.